These distinctive stone carvings of the human head can be found distributed throughout the South Pennines and represent a unique centuries-old tradition, the exact origins and purposes of which has been the subject of considerable debate amongst folklorists and historians since the custom was first noticed by academia in the mid-20th Century. Lying at the very heart of the region, Calderdale is especially abundant in such images with approximately 150 documented and whilst the upper valley tends to be richer (as is so often the case), prominent manifestations of the art have been recorded on a building at Pinnar Lane in Southowram, on the gateway at Coley Hall and in a courtyard at Shibden Hall, whilst free-standing examples have been uncovered at Shibden, Greetland, Brighouse and Elland. These carvings have been dubbed “archaic heads” by folklorist John Billingsley (who has written extensively on the subject) to distinguish them from the more obviously representational and finely worked “Classical” head. Archaic stone heads are primarily features of vernacular architecture and whilst they vary in style most appear to be rather coarsely rendered, although this is often a case of deliberate stylisation rather than any lack of skill on the part of the sculptor. Typically, the face is circular or ovoid with relatively flat features, whilst a triangular nose is carved in relief continuous with the eye ridges. Eyes tend to be amygdaliform and lentoid; the mouth a slit or “cigarette hole” lacking lips or teeth. Other characteristics such as the representation of facial hair are occasionally found, whilst some instances are janiform or tri-cephalic. 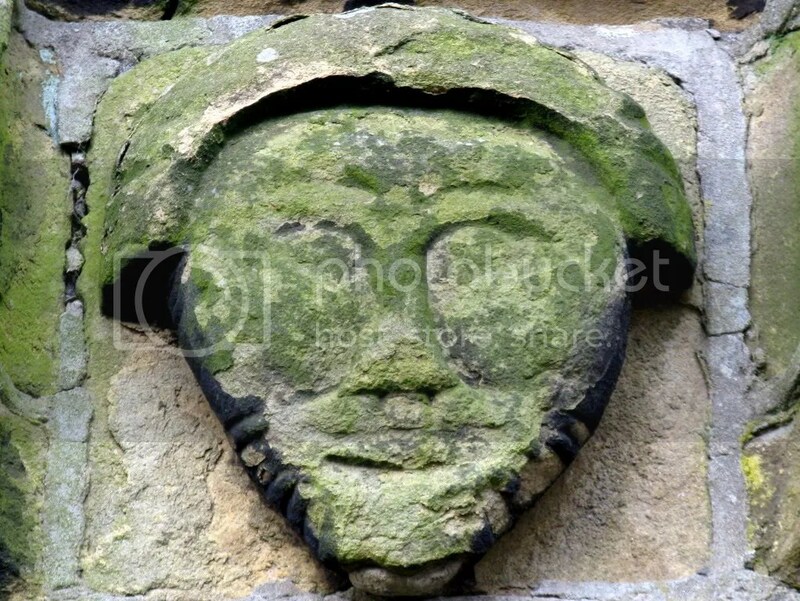 Common locations to find archaic stone heads on buildings include above doorways and windows and on chimneys, gables and eaves. They are also found on gateways and bridges, occasionally built into field-walls and sometimes buried, especially in the case of the free-standing examples. Their precise function has been the subject of much speculation, but it is generally thought that they are associated with pre-modern concepts of liminality, as they are so often found at threshold locations. As such, they act as boundary guardians and mediators, a physical representation of a tutelary spirit. The fact that many such carvings are found in positions where they are difficult to see supports the theory that they were primarily “magical” devices rather than decorative motifs. The phenomenon of archaic stone heads first came to public attention in the 1970s when the Director of Bradford Museums Service Sidney Jackson mounted an exhibition of examples he had collected during his tenure. By the time of his death, he had catalogue over 600 instances. Jackson himself dubbed the carvings “Celtic” stone heads, whilst noted Celtic scholar Dr. Anne Ross proclaimed the exhibition represented evidence of a remarkable continuity of tradition in the South Pennines. However, the Celtic designation has been the source of some controversy since Jackson’s exhibition. Certainly Celtic cultures are known to have venerated the image of the head, similarly believing it to possess an apotropaic function and some of the examples uncovered in the region may indeed date to the Iron Age or Romano-British period. 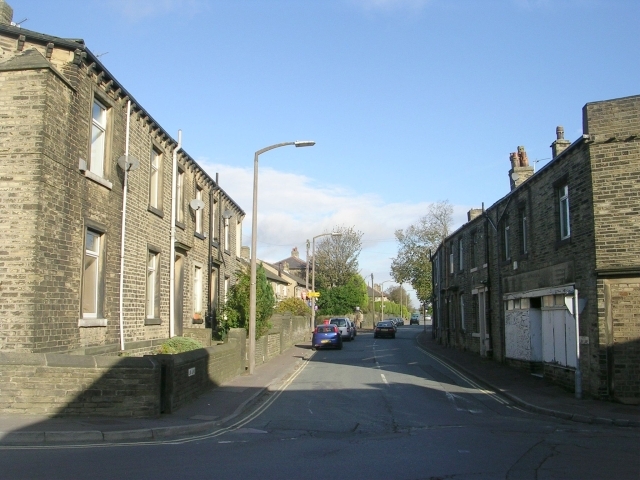 Other examples, however, are much more recent and the tradition was still thriving in Calderdale and surrounding areas up until the 19th Century. 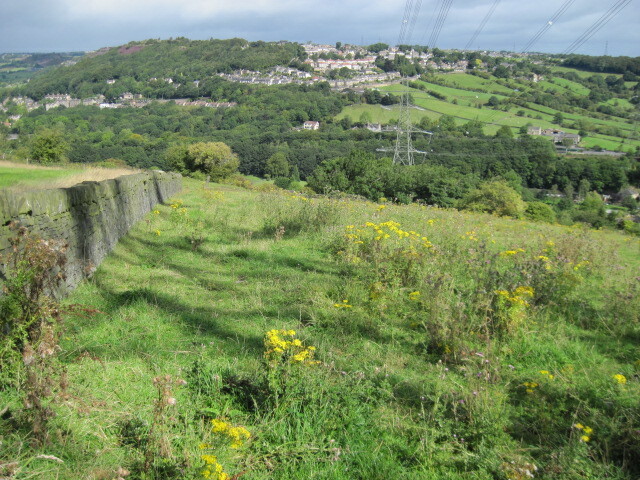 Whether this is evidence of a surviving Celtic tradition in the South Pennines as Anne Ross suggests is hard to assess. Some historians such as Ronald Hutton have entirely dismissed the idea of survivals of this nature and antiquity, asserting that many traditions dubbed Celtic by mid-20th Century folklorists are unlikely to be older than the late medieval period. If this hypothesis is correct, then the archaic head represents not a uniquely Celtic icon but one that has arisen in the folk tradition of many different periods and cultures, suggesting a commonality in the collective human psyche which some find just as interesting. On the other hand, historians base their findings purely on documentary evidence, whilst the whole crux of the folklorists’ arguments is that the oral tradition may have preserved beliefs for centuries before they were written down. Moreover, if archaic stone heads were an isolated phenomenon, then the Celtic theory might not seem so feasible. But the South Pennines is an area teeming with customs for which a Celtic origin can at least be suggested from well-dressing to sacred stones, and there are numerous examples of that other manifestation of head-lore, the screaming skull. It is also relevant that until the 7th Century AD the region formed the heart of Elmet, the last surviving Celtic kingdom in England and that prior to the Industrial Revolution, the area was profoundly isolated from outside influences. Further support is lent by the justification for the carvings offered by local residents. Some carvings were thought to represent an individual who’d died during the construction of the building on which the image is found, and it has been suggested that this echoes the Celtic practice of foundation sacrifice to ensure the “luck” of the dwelling. A more common explanation is that heads were carved on the building to ward off evil spirits and whilst this is a rather simplistic interpretation of the heads’ liminal tutelary role, it suggests a persistence of the apotropaic function in the local folk memory. As late as 1971 the landlord of the Old Sun Inn in Haworth was advised by one of his regulars to place a carved stone head above the doorway to lay a ghost which was supposedly haunting the establishment. Ultimately, it will be impossible to “prove” whether such a belief system could have survived for over two thousand years and arguably, it is most prudent to adopt towards the question an attitude of what the poet John Keats called negative capability, whereby you entertain all possible theories without feeling the need to settle on any definitive answer. However, when all the various factors are accounted for, the possibility of an enduring Celtic tradition does not seem so unlikely. There can be no doubt that the design of archaic heads known to date from the 17th Century is remarkably similar to those of heads known to date from the Iron Age, whilst their ritual function has much in common with certain types of magical, pre-modern thinking which were especially characteristic of Celtic culture. 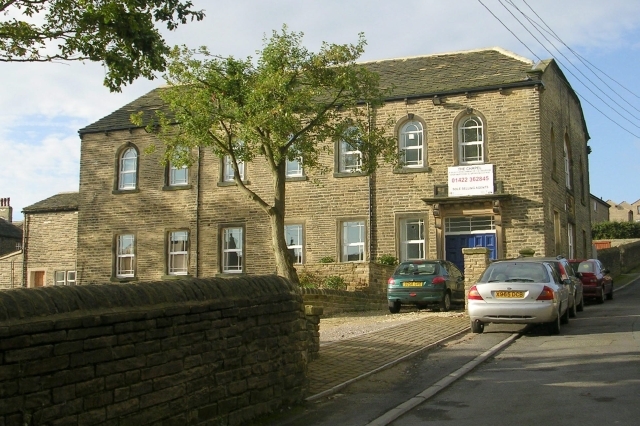 The cottages at Daisy Croft, named after a corn mill which had stood on that site beside the River Calder since the Norman period, were probably already a couple of hundred years old when they were demolished in 1905 to make way for the Brighouse Assembly Rooms and they would once have adjoined the Anchor Inn and faced the Black Swan in Queen Anne’s Square. Sadly this formerly thriving area between Brighouse and Bridge End is today little more than a traffic thoroughfare and car-park in the shadow of the derelict silos of Sugden’s Mill. 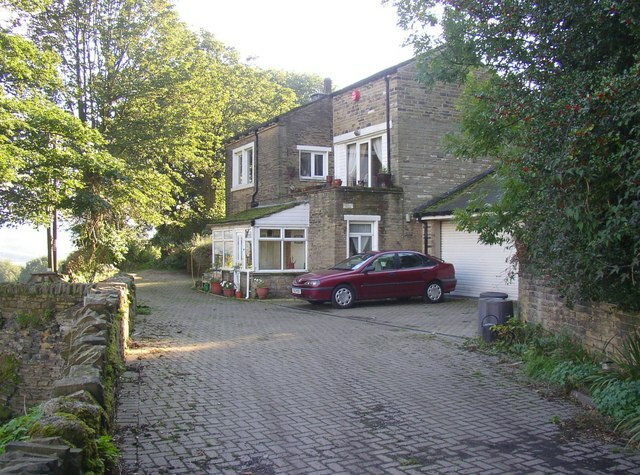 But in July 1887, Daisy Croft was the location of a curious and macabre episode in Brighouse social history. 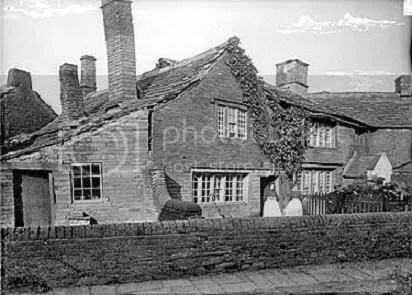 At the time, the cottage Number 23, was occupied by Mrs. Sykes and her teenage son, who’d moved into the dwelling a couple of years previously. One day whilst the boy was cleaning in an upstairs room, his attention was drawn to a small vent hole in the ceiling. Squeezing himself through the narrow aperture into the void beyond, amidst the darkness and centuries’ accumulated detritus he was soon startled to run his hand over something which felt very much like bone. Unnerved, he hurriedly returned to the light of the room below, carrying his discovery with him and sure enough, on closer inspection he realised he’d found a human arm and leg bone. A local physician, Dr. Bond, was summoned and concluded they belonged to the right side of a young human female. He also speculated from the state of preservation that when they were concealed, they probably still had human flesh upon them. The discovery and Bond’s subsequent conjectures caused a great stir in the town. Rumours circulated that it was the skeleton of a young woman who’d disappeared some years previously and that when she was found, she was still wearing a jewelled ring on her bony finger. The frenzy was stoked by the fact that Mrs. Sykes began to display the bones in the cottage and charged admittance to see them, attracting hundreds of visitors per day until the police removed the remains for reburial. Subsequent investigation revealed, however, that the truth was less grisly than many had supposed at the time, although no less bizarre. It transpired that in the early 19th Century the cottage had been used as the surgery of one Doctor Hopkinson. He was regarded in his day as a specialist in a number of diseases but he was also known for having a drink problem and a morbid sense of humour. Some of the older people in the town recalled that he kept a human skeleton in his consulting room and when he was under the influence of alcohol, would delight in using it to terrify his young and elderly patients. Unsurprisingly, the police concluded the bones were most likely to have been left there by Hopkinson, maybe by accident or maybe as some further practical joke from beyond the grave. The exhibition of human remains was evidently a common practice in Brighouse during the late 19th Century. An article in the Brighouse Echo dated 18th July 1952 records that more than half a century previously a coffin had been unearthed during quarrying at Southowram. It contained the skeleton of a local landowner named Dan Maude, who’d died at least fifty years before that, leaving instructions that he was to be buried on his own land. The bones were exhumed and placed on public display, with local people charged two-pence each to view the macabre spectacle. However, it is recorded that it was “eventually kicked to pieces by drunkards”. One doubts the outcome would have been any different had the skeleton been displayed in the district in more recent times.